What is it that makes people “almost buy”? Why do some customers online get most of the way through the purchase and then … close the page and walk away? Almost making that sale online doesn’t really do you much good. There are all kinds of reasons why customers turn away from offers at the last minute. But behind all of those reasons is one, powerful one. Sign up for our free series on copywriting conversion, for a complete picture of what it takes to convert your audience to make a purchase, sign up for your list, or some other action. Ask me a question or follow me on Twitter @soniasimone! 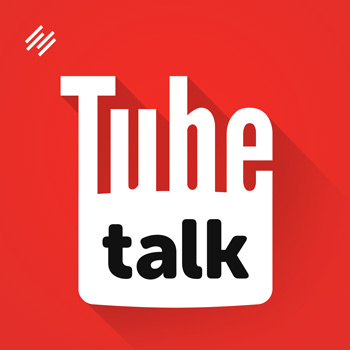 Sonia Simone: So glad to see you again, and welcome back to CopybloggerFM, the content marketing podcast. 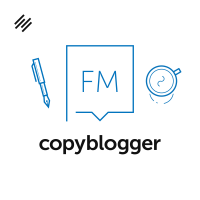 CopybloggerFM is about emerging content marketing trends, interesting disasters, and enduring best practices, along with the occasional rant. My name is Sonia Simone, I’m the chief content officer for Rainmaker Digital, and I hang out with the folks doing the real work over on the Copyblogger blog. Note: See the show notes for all the links! What makes people almost buy? What makes them get most of the way there and then drop out of your shopping cart at the last second? What makes them stare at your landing page, wanting what you have to offer, and yet, ultimately, close the page and move on to something else? It turns out there’s a hideous troll hiding under the bridge. Every time you get close to making a sale, the troll springs out and scares your prospect away. Get rid of the troll and your copy will start converting better than it ever has before. The ugly, smelly, dirty, bad-mannered troll is prospect fear. And it’s sitting there right now, stinking up your landing page and scaring good customers away. Remember when you were a kid and you went to that rinky-dink carnival that came through town? After eating all the cotton candy you could manage — and throwing it all back up again on the Tilt-a-Whirl — you checked out something called the midway. Remember that persuasive fellow who convinced you to spend a whole month’s allowance throwing softballs at those damned milk bottles? It looked so easy. He showed you exactly how to do it. Toss the softball, knock over the milk bottle, win a cool stuffed animal for a prize. Simple. You spent quarter after quarter trying to do it yourself. When all your quarters were gone, you got an inkling. It looked easy, but if you were actually standing at the throw line, it was pretty close to impossible. Now the carnival guy had all your money, and you didn’t even have an ugly green plush monkey to show for it. When the sting of the carnival wore off, you were innocently minding your own business and ran across an ad for a fascinating product called Sea-Monkeys. They were little people! With tails! They looked pretty awesome on the cover of the package. You begged your parents to get them for you and told everybody you knew. Your little brother. Your best friend. Your entire third-grade class. This was going to be so cool. The ad said you could even teach them to do tricks. You planned on getting them medicine, vitamins, special formulas, everything they needed to be the happiest pets ever. You followed the instructions to the letter. You waited breathlessly. You told anyone and everyone how amazing this was going to be. It turns out Sea-Monkeys are just brine shrimp. In no way do they resemble little people. They resemble fish food, which is what they are. Your little brother, your best friend, and your entire third-grade class now thought you were an idiot. And they delighted in letting you know that at every opportunity. The troll gets a little bigger. Every time we’re betrayed by a sleazy salesperson, we toughen up just a little. The troll grows. Our mistrust grows and our inclination to believe shrinks. And then a content marketer shows up with a helpful article or podcast episode that will solve a problem that’s been really bothering us. Let’s call that content marketer … you. We want to believe you. We want to get the benefit from what you have to offer. We want to have something — anything — work out the way it was promised. We would love to be able to trust our own judgment. But the troll keeps whispering in our ear, with his truly horrendous breath, howstupid we’re going to feel when we fall for that again. Trustworthiness, lots of high-value content, and just plain old decency are your best weapons to combat the troll. Everything on your site needs to show you can be trusted: Real contact information. Your photograph. Thorough responses to FAQs. Clear, reasonable calls to action. Every detail matters, including hosting your site on your own domain and publishing content on a consistent schedule. Everything you do needs to build trust and kill the troll. Unless you sell to 10-year-olds, your prospect has likely been kicked around many times by unscrupulous (or incompetent) businesses. Give the prospect any tiny reason to mistrust you and memories of all those wretched old experiences come back. There’s an old joke that a second marriage is the triumph of optimism over experience. In fact, that’s exactly what happens every time you make a sale, especially to someone who hasn’t done business with you before. So, let’s declare war on the trolls. Prove you’re extraordinarily trustworthy by demonstrating your value, putting your customers first, and keeping your promises. The troll is tough and hard to kill. But with dedication and commitment, we can chase him off once and for all. Editor’s note: The original text version of this post was published on Copyblogger on May 29, 2009.